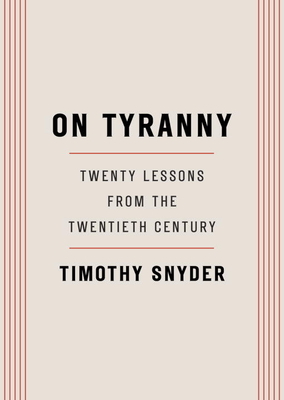 Timothy Snyder is the Levin Professor of History at Yale University. He is the author of Bloodlands: Europe Between Hitler and Stalin and Black Earth: The Holocaust as History and Warning. Snyder is a member of the Committee on Conscience of the United States Holocaust Memorial Museum and a permanent fellow of the Institute for Human Sciences in Vienna.